Are you thinking about trying out some sports betting in order to win yourself some cash and enjoy the sport even more? Sports betting sites come in all shapes and sizes these days with plenty of odds and different sports to bet on. Of course, choosing the right site to play on amongst the huge selection can be quite difficult. To help you with this, we have put together a guide on how you can choose the right sports betting site. Keep reading if you’d like to find out more. The first thing that you need to consider when choosing a sports betting site is how well you can trust the site. You are going to be sending them money regularly and so you need to know that your bank and personal details are in safe hands. 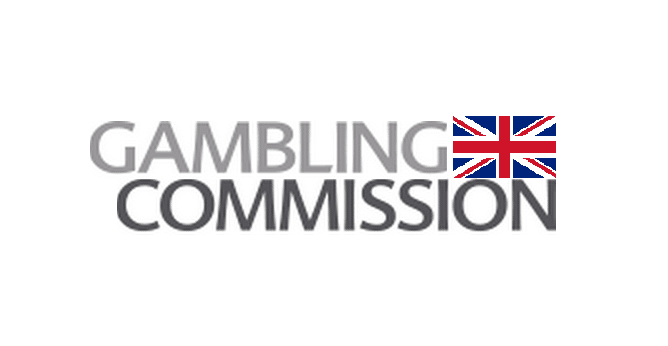 For a site to be trusted, it will need to have a gambling license from the UK Gambling Commission or the relevant authority where you live. Check that the site you are using has this to ensure that they follow regulations. Another way to find out if a site can be trusted is to look at reviews by other players. You will often find that if a player has had a bad experience on the site in regard to security or not getting their payout – they will write a review letting others know. This can be an indicator of whether a site is trustworthy or not. When it comes to sports betting, there are many different sports that you can place a bet on. In traditional bookmakers, there would be a small selection of bets and sports for you to choose from. However, now with the improvement of technology, sports betting sites offer odds across many different sports. For example, if you take a look at Stakers you’ll be able to find an extensive range of sports, from football and tennis to ice hockey and surfing. A good way to find the right site for you is to have a look at the selection of sports on offer. If you are a football fan and there are good odds for this then you’ve found the right site. If your favourite sport is a little less popular then you might have to dig a little deeper to find the right site for you. One of the great things about sports betting sites these days is that they tend to offer bonus offers and welcome packages for new players on the site. This is often what makes these sites more popular than other traditional bookmakers as you can get even more for your money and hopefully win a lot of cash. If you are thinking about signing up to a new sports betting site, you should have a look at the offers that they have for new players. Some sites will offer cashback on a bet, while others offer better odds for a particular sporting event for new players. This is often a one-time offer so make sure to choose wisely so that you can get the most for your money. Always remember to read the terms and conditions as some offers will come with wagering requirements. When you are choosing a new sports betting site to use, you also need to have a look at the banking options that they offer. You’ll need to pass on your bank details to make a deposit or a bet and so you need to be able to trust the site and the option that you are using. Many sports betting sites will offer traditional methods such as Visa, Mastercard and Maestro but you can also look out for some e-wallet options. PayPal is a safe and secure payment method that you can trust to keep your details safe. Other popular options include Neteller, Skrill and PaySafeCard which many sports betting sites are now offering players. Make sure that you choose a site that offers a payment method that you are comfortable using so that you don’t risk losing any of your cash. Not every sports betting site is going to have the same odds and so you will want to have a look around what they are offering before signing up. It is a good idea to understand how odds work before betting a lot of cash and you can easily find a guide to this online. Once you know a bit more about odds, you can compare the odds that sports betting sites are offering. It is important to remember that odds can change throughout the game and so it can be hard to find the right site to place your bet on. The final thing that you should look for when choosing a new sports betting site to use is how convenient it is. These days, many of the best sports betting sites will offer mobile betting which allows you to make in-game bets regardless of where you are. This means that you can be watching the match with your friends and make a quick bet on your mobile phone. On top of this, many sports betting sites offer live streams of the matches that can be watched on your mobile device. This means that you can enjoy watching your bet come through regardless of where you are and enjoy it even more. Look out for sites that offer mobile betting and have apps as these are often the best types of sites. If you’ve always wanted to win some cash online and love watching sports, then you should make sure to sign up to a sports betting site as soon as possible. Make sure that you have a look at how trustworthy the site is and make sure that they offer the right sports for you. Always compare the bonuses that sites offer new players and make sure that you take advantage of these to get the most for your money. Soon, you’ll be winning lots of cash online and watching a lot more sports.